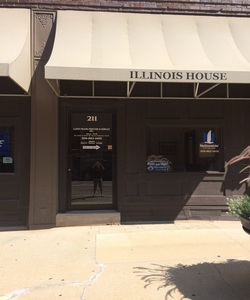 Welcome to Capen Frank Proctor & Bowles, Inc.
Family owned and operated, Capen Frank Proctor & Bowles, Inc. has delivered quality insurance solutions to individuals in Illinois, specializing in Business, Homeowners and Life insurance coverage. Our team of experienced insurance professionals is committed to helping you find a policy that fits your needs. We focus on providing personalized attention and exceptional customer service to create an experience that’s difficult to find in today’s market. At Capen Frank Proctor & Bowles, Inc., we’ll work with you to ensure that you and those you care about most are protected. Copyright © 2018 Capen Frank Proctor & Bowles, Inc. Proudly serving Bloomington, IL, Normal, IL, Pontiac, IL, Peoria, IL, Champaign, IL, Lincoln, IL, and surrounding areas.